Japanese beetles are a hated scourge. Adult beetles ruin ornamentals and vegetables by eating flowers, tender stems and leaves, often leaving a characteristic, skeletonized leaf. The grubs bore into the ground and eat plant roots all summer. Telltale signs of grub damage are reduced plant vigor in summer and large patches of dead grass. The gardener looking for a pesticide to minimize Japanese beetle populations will find a friend in carbaryl, known by the trade name Sevin. Sevin is favored, especially in vegetable gardens, for its non-toxicity to both humans and plants. Japanese beetles can wreak devastation. Mix Sevin with water in a spray container according to the manufacturer's directions. Sevin is available as a powder or liquid concentrate and also comes in a ready-to-use spray bottle. 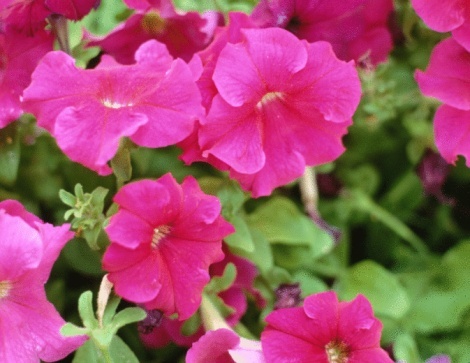 Spray the tops and bottoms of plant leaves, all buds and flowers and the stem and branch parts of the shrub. The plant should be dripping with the milky solution. When the leaves dry, they will have a light, powdery film that will wash off in the rain. Reapply every two or three weeks until Japanese beetle adults become less active in late summer. 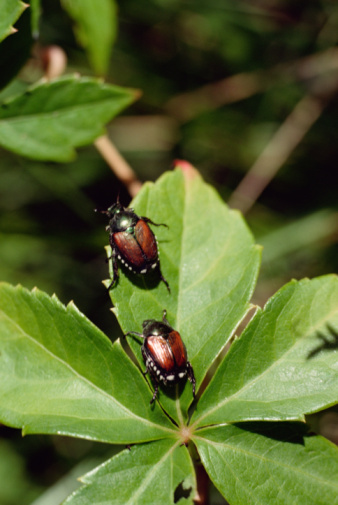 Monitor the plants for beetle presence and damage between applications. Fast-growing plants such as roses and vegetables may need more frequent applications as they produce fresh, unprotected plant parts. Water affected lawn areas thoroughly to increase penetration of the active ingredient into the soil. Apply Sevin to the lawn, following manufacturer's directions for rate of dilution and volume of application. The grass should be evenly wet and dripping with the liquid. Water again thoroughly after application. Watering increases the efficacy of Sevin by moving it into the soil, where the grubs feed on grass roots. How Can I Kill Sagebrush?